I Choose JOY! | Reflection of Glory! Each day we wake up and begin to let our minds focus on different things. It may be something that happened yesterday or further in the past. It may be something coming in the future. But, yesterday is gone…and the future is not yet. We have TODAY!! We have this moment! What will we choose to focus on! I choose JOY!! 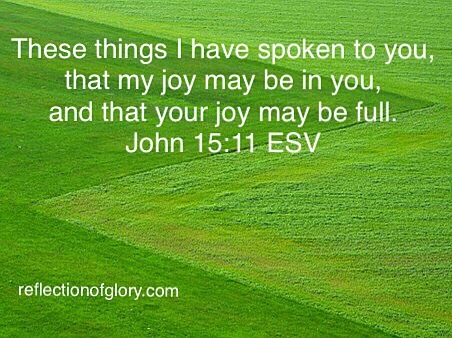 I choose to focus on the Giver of Joy! And as I focus on the Lord, HIS JOY will rise up and pour forth from me!! Thank You, Lord! ← MAY WE BE ONE!